Wrap yourself in luxury, or add a distinctive decorative accent-however you use our throw,you’ll enjoy royal treatment! 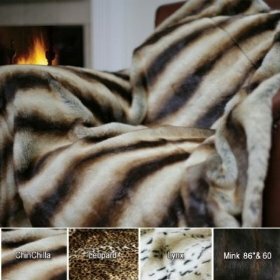 Sumptuous, chinchilla faux fur will keep you warm and cozy watching TV. Dynamic Decor PIECE over a safa,chair or ottoman.